It’s a good thing that life isn’t as dangerous as it is in comic books. One second, the Green Goblin is riding his glider through New York, tossing bombs everywhere and the next second, Doctor Octopus is tearing up Times Square with those big robot arms. Can you even imagine living in a world where that happens every weekend? 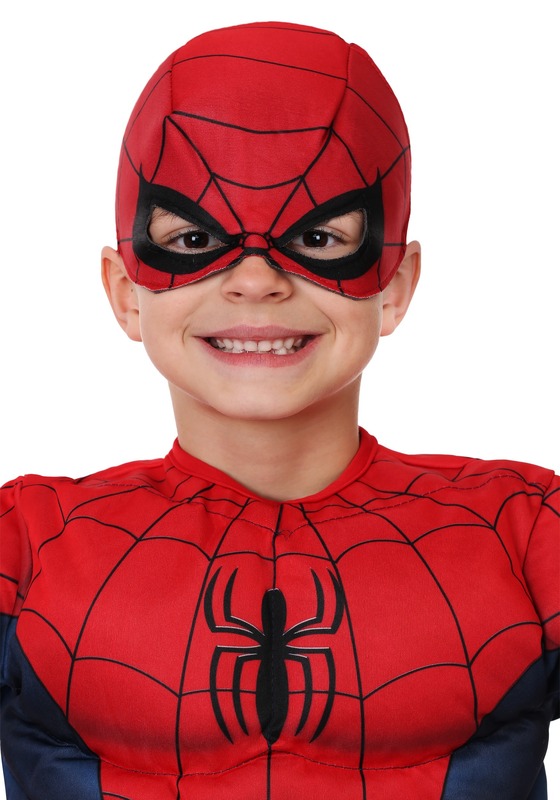 When your child looks at you with those puppy dog eyes and says, “I want to be Spider-Man,” might have a moment's pause when you ponder all the danger that they might face. But, just remember: those villains all reside in a parallel universe. Crossing dimensions is practically unheard of! At least, not coming to this dimension, anyway. Something about multiversal addresses. Ours is kinda in an odd spot and GPS just totally gives up. 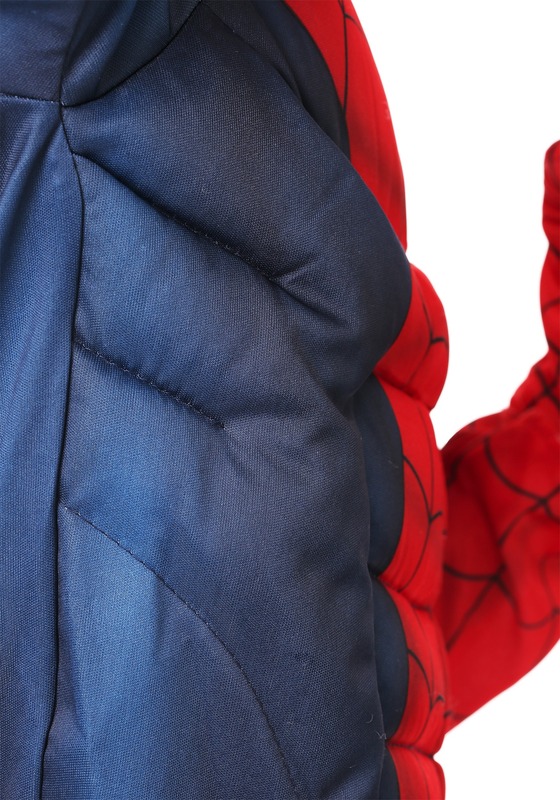 Whether your kiddo wants to face down real villains or just enjoy some vicarious web-swinging, we just happen to have the perfect costume for your little superhero. 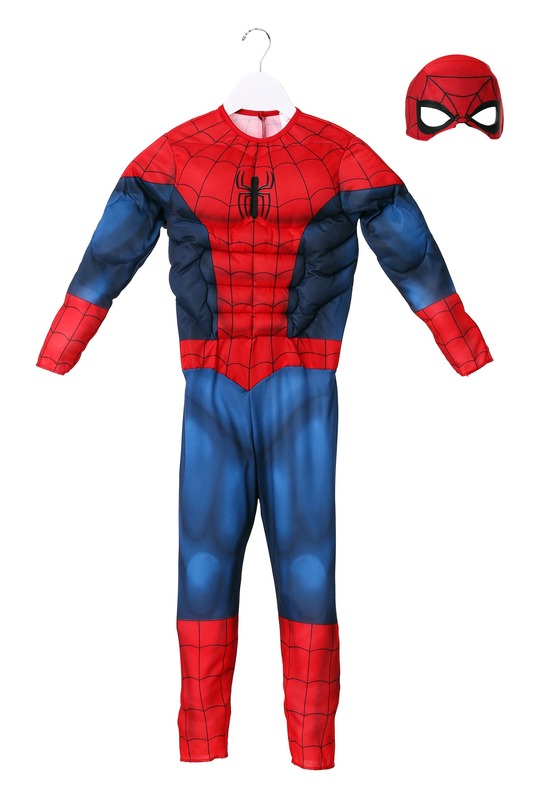 This toddler Spider-Man costume is officially licensed by Marvel and it’s designed to transform your child into your friendly, local Spider-Kid! 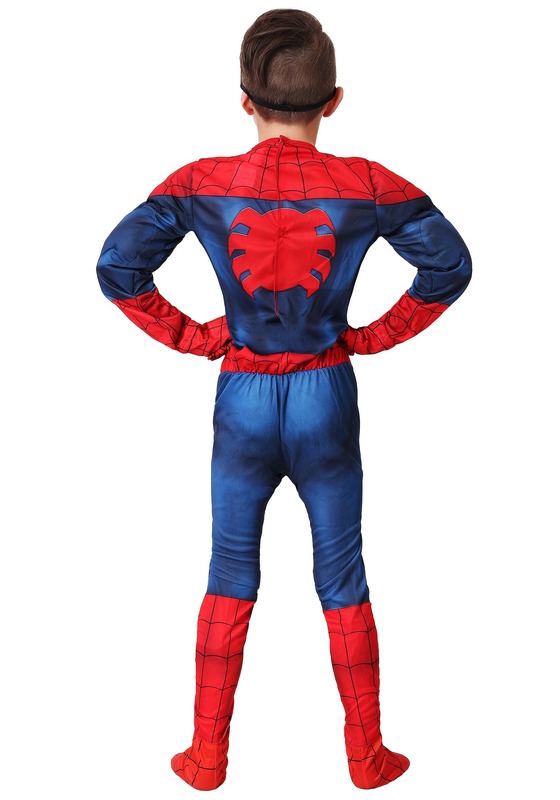 It comes with a full-body jumpsuit that recreates the look of Peter Parker’s signature outfit. 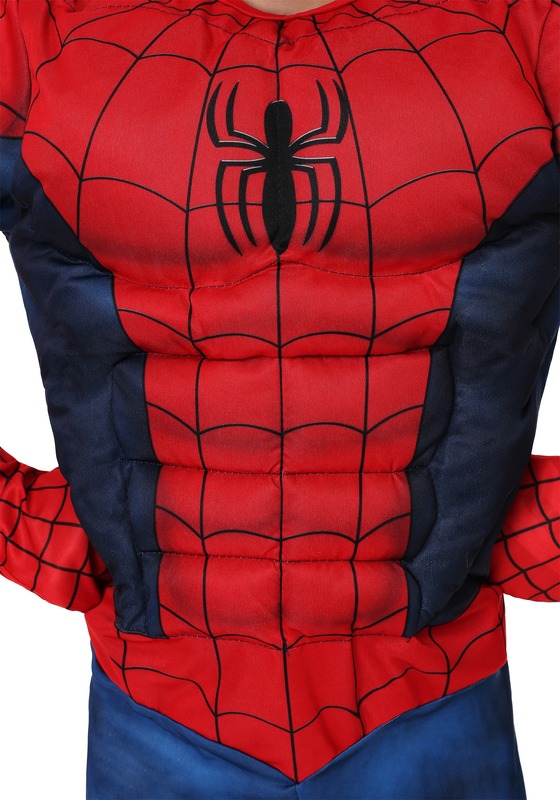 It has muscle padding in the chest and arms to help give your child a buff and tough look, which is perfect for putting a scare into any bad guys who might try to cause some trouble in your neighborhood. 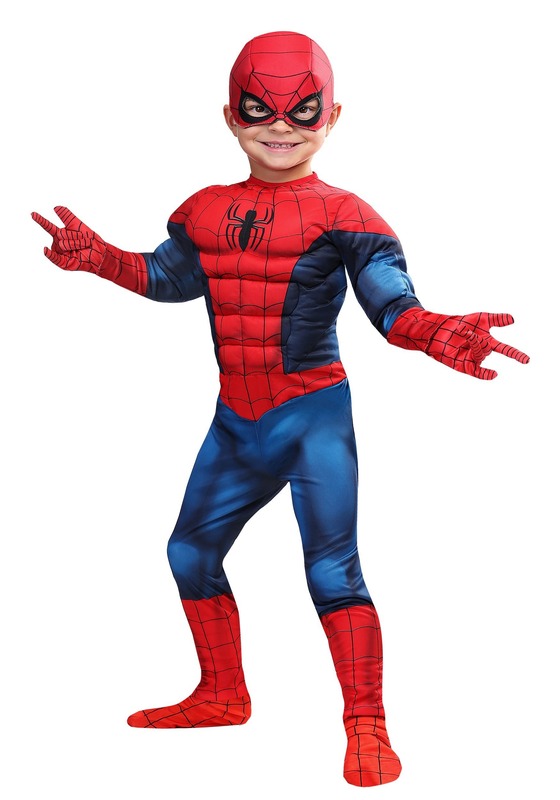 Lucky for everyone involved, this costume won’t actually give your child any superpowers, so he may have to put the wall-crawling and web-slinging on hold until you can find a radioactive spider that will give him some superpowers. 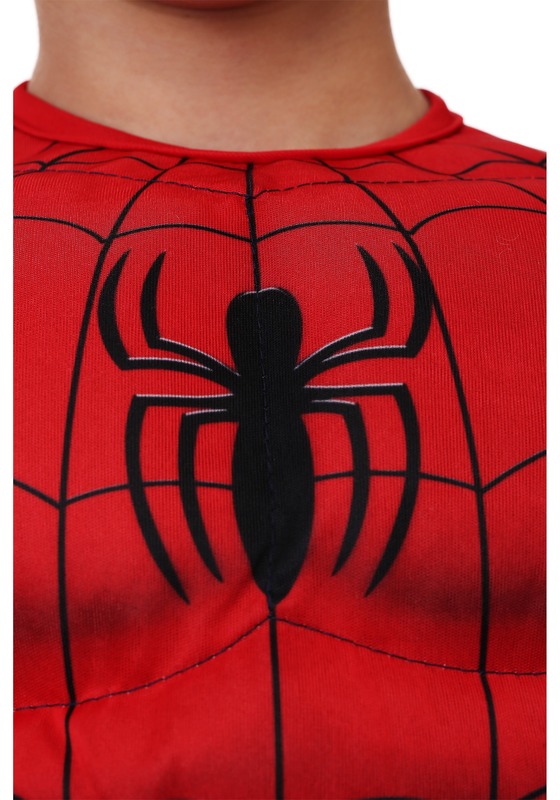 That doesn't mean your child can't fully enjoy shooting invisible webs while he's running all over the house. And, failing that, there is always silly string. Inventive kids will figure something out!